- Pitches are normally >120 m2. The average size is 135 m2. - Price camping includes 2 adults and children <16 years. Additional Adult 25 kr/night (price hikers, cyclists and motorbike please do look at Quickstop/Marina). - Entrance to the pool area are included in the price. - Camping Key Europe: If you stay for 7 days, you only pay for 6 days. Stay 4 weeks pay for 3 weeks (you´ll pay only electricity week 4). - A place, for the boat, in the Marina in connection with camping 100 SEK/day. * Pitch by the beach or pitch with water and drain + 60 SEK/day. ** Easter 18/4-22/4 + 30 SEK/day. *** Friday, Saturday and weekend Ascension Day 29/5-2/6 + 30 SEK/day. 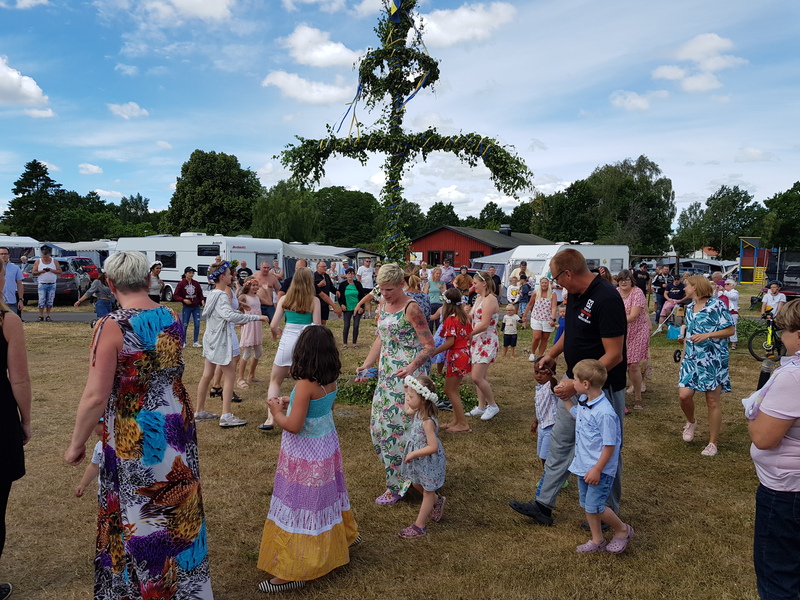 **** Midsummer 20-23/6 + 80 SEK/day. Pitch with electricity booked at least 3 days. We are pleased if you use the ONLINE BOOKING. You can change the language up to the right G Välj språk.